Aida is a dedicated real estate professional with 16 years experience. In the year 2000, after years of traveling and living in different European countries, she moved from Bosnia and Herzegovina to Pittsburgh. Fluent in the Bosnian, Croatian and Serbian languages, Aida learned to speak English during and after her move to the USA. Aida wanted her son to grow up in a comfortable, family-oriented city and decided to put her roots down here – a place that made her feel welcome and at home. Aida fell in love with the business of real estate and worked hard to become one of the leading real estate professionals in the Pittsburgh real estate arena. She was the top agent in the former Prudential Bethel Park Office and later moved to and continued to thrive in the company’s City Office in Squirrel Hill, which is now a part of Berkshire Hathaway. Aida has earned numerous awards while with Prudential/Berkshire Hathaway. She achieved the Bronze Award followed by Honor Society twice, Leading Edge eight times and Chairman’s Circle in 2014. Aida loves her job and thrives on interacting with people and listening to their wants, needs, dreams and plans. Aida’s expertise includes fine-tuned negotiation skills and working with first-time homebuyers, new construction and investment property transactions, luxury home buyers/sellers, and move-up/scale-down sellers and buyers. She is up to date with the newest technology to help transactions close quickly and effortlessly. The latest addition to her credentials is that she earned her Associate Broker License in 2014. In September of 2018 Aida joined RE/MAX Select Realty. To see Aida’s listings and past sales and to get a free market analysis, visit www.aidaagovic.com. 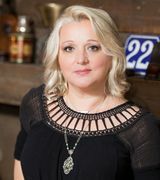 For insight into Aida’s dedication and unique approach to servicing her clients, check out this article: https://www.bizjournals.com/pittsburgh/stories/2007/08/27/focus7.html. Bought a Single Family home in 2016 for approximately $375K in Highland Park, Pittsburgh, PA.
Sold a home in 2019 in Mc Knight, Pittsburgh, PA 15237. Sold a Single Family home in 2019 for approximately $125K in Bethel Park, PA.
Bought a Apartment home in 2018 for approximately $225K in Dormont, Pittsburgh, PA.
Bought and sold a Single Family home in 2016 for approximately $150K in Pittsburgh, PA.
Bought a Single Family home in 2019 for approximately $175K in Bloomfield, Pittsburgh, PA.
Bought and sold a Single Family home in 2018 for approximately $200K in Bethel Park, PA.
Bought a Single Family home in 2018 for approximately $350K in Mount Lebanon, Pittsburgh, PA.
Bought a Single Family home in 2018 for approximately $400K in Shadyside, Pittsburgh, PA.
Bought a Single Family home in 2018 for approximately $350K in Swisshelm Park, Pittsburgh, PA.